Things we could not resist! Some time ago, when planting out some border plants, a ‘Eureka’ moment suddenly came to me. We regularly plant a whole row of plants or herbs - which means a whole lot of holes with my trowel! It’s much less fiddly to prepare a nice neat trench with a spade. So - we designed a biodegradable trough. They are made for us from natural, sustainable coir by our friends in Sri Lanka. We plant the trough in the greenhouse,and let the plants grow up a bit, helped a little with organic Neem fertilizer. We then pop the trough straight into the trench, prepared with green compost and natural seaweed. Easy, and so certain of success. Then along comes that old natural cycle again. Nature taking the natural coir trough back into the soil, where it came from in the first place! Can you give us any other uses for our trough ? Perhaps an instant ‘mini’ maze, or to separate the kid’s garden plots, or some quick vegetable borders using our natural defenders ‘Tagetes’. Please let us know what you think.. 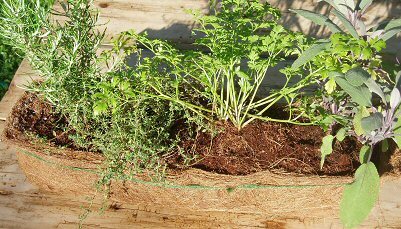 Above is a trough I am just about to pop into the garden, after raising the herbs in coir compost from our coir discs. 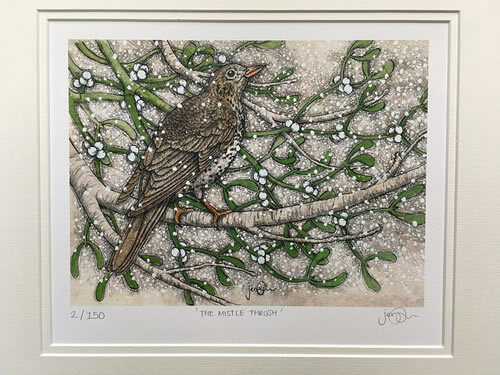 This was our original design, below is the final version - also ideal for your kitchen windowsill or conservatory. An indoor herb garden ! Above the ground the trough is fine for a year or so - then plant it out if it gets a bit ‘hairy’. Just remember, you need a ‘wipe down’ surface when you give your herbs a water. This trough on the left was planted by Jason at Kenway Nurseries. He too appreciates the environmental benefits of growing in biodegradable coir, rather than plastic. Our troughs also save so much time in planting, this is an ‘instant hedge‘! 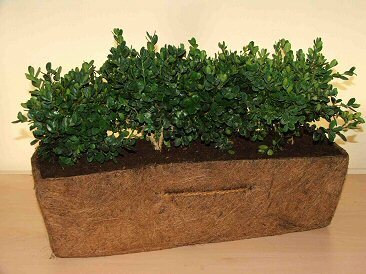 Slowly more and more nurseries are realising that natural coir is the way to a sustainable, waste free future. Perhaps the key “pioneers” in using our pots are Caroline and Derek Taylor of Kirton Farm Nurseries. It has a little bit of history. Leaving a large half full plastic bag behind, off to the kitchen I scurried. Just in time to watch the rain come down. 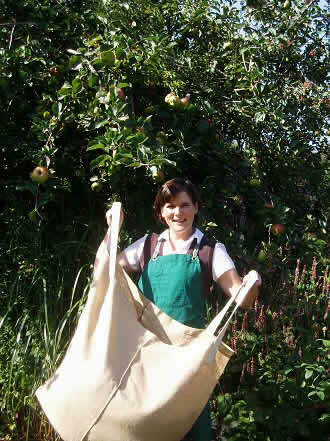 Life went on, and I only remembered the bag, tucked behind a bush, a couple of very wet weeks later. Have you ever smelt a plastic bag full of weed soup after it’s been “cooking” for a while - Ugh! Well this gave me the idea for a non waterproof bag - and you know what I think about plastic. So now we grow our ‘Fill it with Anything’ bag. Well, O.K. ‘we grow’ is a bit of an exaggeration. The organic jute is grown in India, where it’s made into this bag which we designed. YES - it’s a designer bag! 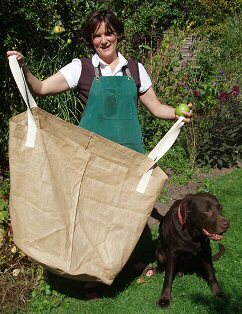 We now use them for so many things, weeds, pruning, the apples, garden toys - wish we could design a tidy child - and my mum thinks it’s as wonderful as a laundry bag. Although sometimes my husband is handy to have around when I overfill it. Made from organic jute, with cotton handles which can be hoisted onto your shoulder, the bag is about two feet high with the same diameter. Its bottom is lightly sprayed with natural latex. P.S. Do we need this latex? Please let us know what you think.. They will last quite a while. Eventually just pop them on the compost heap, and let that old natural cycle carry on turning.